Fast-rising bets for senator Ilocos Norte Governor Imee Marcos and SAP Bong Go have different responses to the rumors launched by their political enemies. 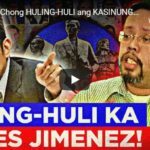 Go, who is linked to drug accusations along with the Presidential son, Paolo Du30 bares it all. He shows his back to the press proving that he has no triad tattoo. Meanwhile, Marcos had enough of the black media propaganda against her. She decides to stop talking about them because whatever she says is always a media sensation. Marcos lets the audience of a press conference believe what they want to believe. She won’t talk about the education queries anymore. She had said many things about that already. In one occasion she evades the question and then, ignores another. People would always cast their votes in her favor regardless of such clarifications to these rumors. The lady governor also explains that her family is so used to black media propaganda especially during elections. She thinks that this is not a big deal at all. Her intention is to inform the people on the kind of solutions the country can do to minimize the problems especially in the rising prices of commodities. In an event in San Pedro, Laguna, SAP Bong Go quickly lifts his shirt to show his back. 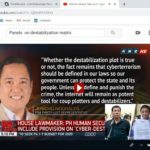 In a video titled “Ang Totoong Narco List – Episode 3,” a certain Bikoy accuses Go of owning four local bank accounts. He allegedly receives drug money payoffs as much as P3 billion. Then uses them as campaign funds for the 2019 polls. 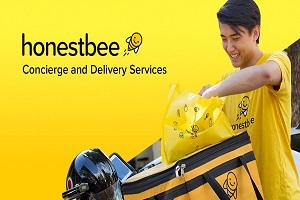 It also said that Go uses the code name “TESOROGOLF-TSG-002,” as per the alleged dragon tattoo on his back. Go, however, won’t advise former Davao City Vice Mayor Paolo Du30 to do the same just to dispel Bikoy’s claims that Paolo also has a tattoo on his back detailing his codename in getting drug money. 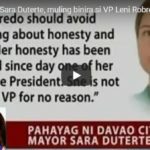 He agrees with Presidential daughter Sara Du30-Carpio that it is an invasion of privacy. 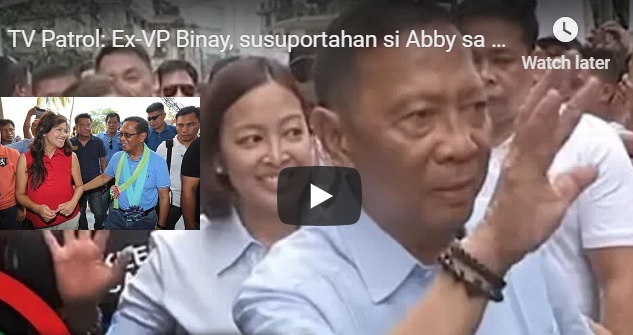 Unlike him, the president’s son is not a candidate for Senator. Marcos and Go are both fast-rising bets for Senator. Gov. Marcos is always in the top 12 even before the campaign period. Meanwhile, Go is now in the 4th or 5th spot. They also got the support of the Hugpong ng Pagbabago party that Inday Sara initiates. As democracy dictates, the majority wins. Bongbong Marcos explains to the audience of his political sorties that he is not running for any position this coming May 2019 elections. His sister. Gov. Imee Marcos is the candidate for Senator. She is number 46. The former Senator is just her proxy. He is more than willing to do that saying that with the vast achievements the lady governor has, to campaign for her is not a difficult thing to do. In fact, even from the start before the campaign period, she’s already in the top 12 Senatorial bets. [VIDEO]: Hindi man ako tatakbo sa darating na halalan, umiikot pa rin tayo upang ikampanya ang mga kandidatong malapit sa puso natin. I am recently the proxy of Manang Imee during the Hugpong ng Pagbabago (HNP) rally in Negros Occidental. We all know that the Negrenses’ brand of hospitality is distinctly warm and this day was no exception, Marcos said as he spoke in front of the people in the area. Marcos also joins the Hugpong ng Pagbabago rally in Bacolod City previously. He had no idea that he was in for a big surprise. More than 15,000 Bacoleños were in the Panaad stadium to show support for the HNP senatorial bets! The stadium was just full of the voting public. Imee Marcos’ brother is also happy to share some of his experiences in local governance during the 4th Regional Liga ng mga Barangay Convention in Davao City. The theme, “Nagkakaisang Barangay, Tagumpay ng Bansang Pilipinas” reminds people of the importance of UNITY in addressing the needs of our communities, Marcos reiterates. My family has a long history of public service in Ilocos Norte. It began almost a hundred years ago when my grandfather, Mariano Marcos became Congressman in 1925, said Marcos. After that came my father, my aunt (Elizabeth Marcos-Keon), my mother, and my cousins (Nonong, Angelo & Michael). Sister, Imee and I also serve the province and now it looks like the next generation takes over. It starts with Manang Imee’s son (Matthew Marcos Manotoc) who runs for Governor. What about Sandro Marcos? The VP electoral protest hopeful declares that the Marcoses are again ready to go full time in public service. Not only his batch of politicians in the family but also his son’s. When the heart remains pure and the intention is to help others, no amount of black media propaganda can destroy them. Many Filipinos are indeed looking forward to the return of the Marcoses starting from making Imee Marcos win one of the Senate seats as a top Senator. Who can Now Debunk Senator Manny Pacquiao’s Endorsement of Imee Marcos? 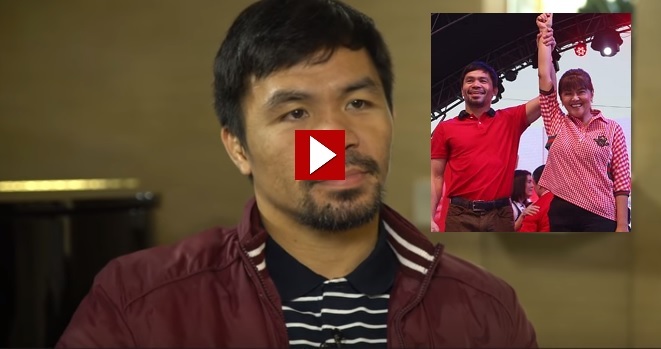 [VIDEO]: Senator Manny Pacquiao Confirms that as PDP-Laban’s campaign manager, Gov. Imee Marcos is included in their political sorties. Pacquiao is smart enough to answer the interviewer’s question about how he feels when it comes to Marcos’ family issues of corruption. He said that the country has laws that deal with those. Guilty or not, it has nothing to do with her political platform that is in line with the administration’s quest. The Filipino legend endorses candidates outside the 5-member slate of the ruling party. Pacquiao enumerated the names of senatorial bets he endorses. They are 12 candidates in total. 7 of them are from other parties. Which 3 of them are from the Nacionalista party. 8 or 7 from Other Parties? Both Du30 and Pacquiao support Marcos. Not to mention the President’s daughter, Sara Du30-Carpio who organizes Hugpong ng Pagbabago. There are obvious overlappings in some of the candidates like in Gov. Marcos’ case. However, this is not an issue for Pacquiao. They just have to prioritize their own candidates. Although recently in Cebu, the endorsement of Pacquiao for Marcos was very notable.